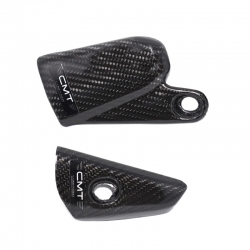 Carbon tank cover for Yamaha YZF 450 2018 - 2019 made of carbon. Aesthetic and functional perfection is one of the distinguishing features of the product. For this reason, at CMT we recommend purchasing the Cover made entirely of carbon to protect the tank from likely collisions and/or external collisions, and not only: the Tank cover gives to your vehicle a more eye-catching look.